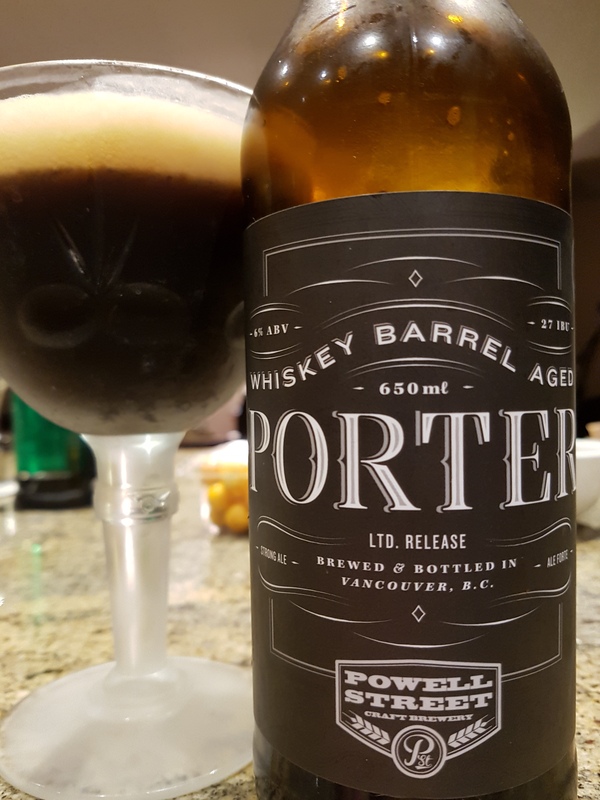 Whiskey Barrel Aged Porter – Powell Street Craft Brewery (Vancouver, BC, Canada) | Justintoxicated. Visual: (cellared for 1.5 years). Pours heart of darkness black with a small 1cm frothy head, 1mm retention, lots of fast tight clustered streams. Summary: Decent body, but too much persistent sweetness that becomes cloying and heavy on the palate. 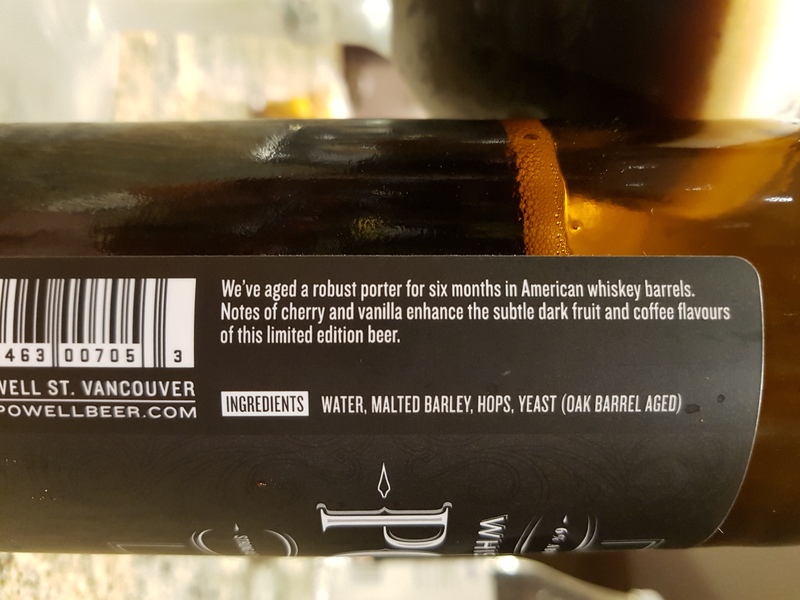 The whiskey barrel influence is certainly there, but it’s lacking in creaminess and finesse to balance it out.